Initiated to pop-culture by the mid-90s Tamagotchi device, pet-sims have really taken off on the App Store, but there are surprisingly few that stand out. Fortunately, developers Tasty Poison Games have given us something to talk about with the release of their full 3D dragon-based pet game, Dragooo [App Store]. Dragooo differs in presentation to other pet-sims in that the game world is rendered in fully navigable 3D. Your focus point is always your dragon pet, who starts out as a fledgling and grows over 3 stages to a teen-sized dragon (think more Spyro and less Smaug), with wings large enough to finally fly. Flying is ultimately the end-goal to your dragon’s growth in Dragooo, and getting there requires the usual tasks of feeding, nurturing and exercising your pet. This is quite easy done with a little exploration of the great-looking subterranean lair that is your dragon’s home. Negotiating your dragon around his lair feels natural. The camera is controlled by simply swiping on the screen, and your dragon can be moved around by tapping at the desired location. An on-screen button lets you switch between interaction and navigation mode, the former of which lets you pat your dragon and begin to teach him to fly by dragging upwards with your finger. By moving towards other objects in the lair, such as the pond or to the fireflies or fruit-bats, interaction mode is activated automatically. This enables you to feed your dragon by dragging a critter to his mouth or motioning him to drink. After nurturing your dragon for a while (30 minutes or so) he’ll have grown into a dragon able to finally lift-off. This unlocks the racing option, where your dragon enters a mini-game where he careens through one of three maps to collect as many gems as possible. 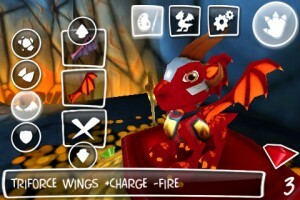 In this mode, he will also need to use several abilities (such as fire breathing) to get through the track. Gems collected can then be spent on items to customize your dragon and improve his attributes and skills. Though this sounds comprehensive on paper, in practice all the above is a very straightforward and simple affair, able to be reached in an hour or two at most. And thus we arrive at our major criticism of Dragooo— it is far too light on content at present. Flying is all there is to do once you have raised your dragon (other than continuing to nurture him) and though it looks terrific, it’s not executed particularly well; the overly sensitive tilt controls being the only real challenge to each race. There are also no social features to be found, despite all your races being timed and seemingly ripe for a high score table. That’s not to say the developers have skimped on the game entirely, as the 3D engine does look amazing (and even though it was purportedly optimized only for the 3rd gen devices, some readers have had luck installing it on their 2G devices). We just think that in its current state, it is more a foundation for future content. If this content arrives and adds to the gameplay, Dragooo could well be terrific. 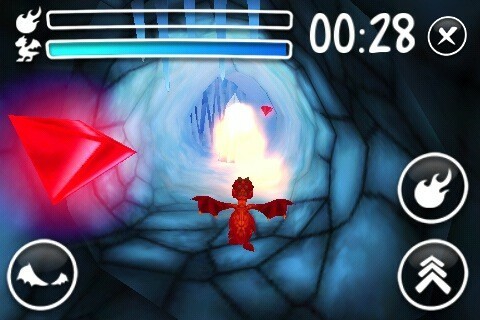 As it stands though, Dragooo is an entertaining but very brief distraction. 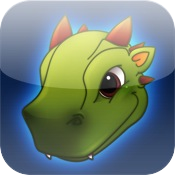 App Store Link: Dragooo, $2.99.